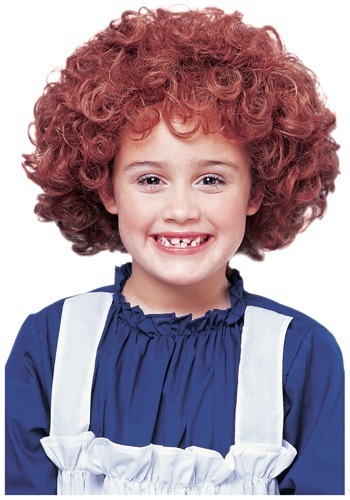 The sun is sure to come out tomorrow when you transform into the classic and lovable little orphan Annie. We've said it once and we'll say it again, Halloween doesn't have to be hard! So het us help you put together the perfect costume, one that puts mean ole' Miss Hannigan to shame. Spend your night singing and dancing without worry of having to go back home to chores and the orphanage. The hard knock life no longer counts once you're in this Child Orphan Wig. Find your Daddy Warbucks in no time in our Child Orphan Wig. You'll go from scrubbing the floors to a room full of maids, you're living a billionaire's life now. Seriously put on the wig and see what happens, you won't regret it!